Over the last week Berlin has been home to IFA, Europe’s answer to the Consumer Electronics Show (CES). It features all the usual big name electronics that are household names internationally, along with brands you’ll only be able to buy in Europe or Asia and a smattering of smaller start-ups sharing booths with likeminded enterprises and a brand. It is amongst the latter that I came across Smarter, a UK-based business that is set to disrupt the increasingly high-tech industry of refrigeration. See also: Are prices driving away smart home consumers? 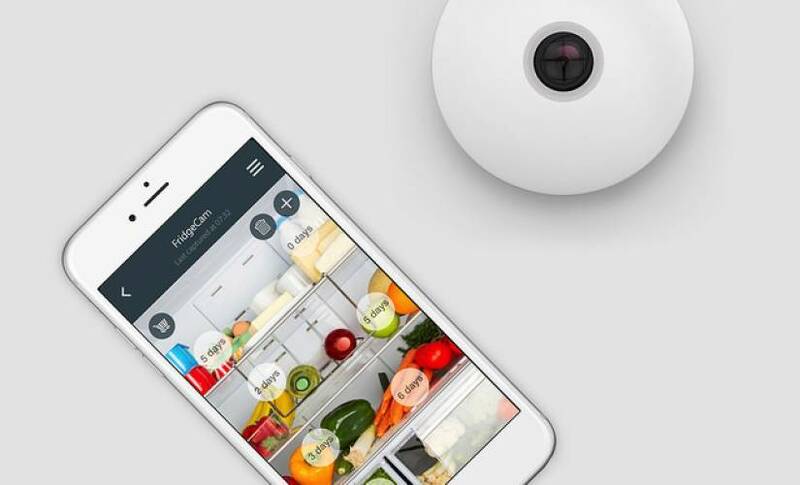 Smarter used to show to launch their latest product TheFridgeCam, a wireless fridge camera that allows users to see the contents of their fridge from wherever they are via the app. The camera takes a photo of the contents of the fridge every time the door is shut, which is them displayed via the Smarter app. Expiry reminders based on the fridge’s contents, ensuring items are used before they run out of date. Receive replenishment notifications when you have run out of certain products, ensuring the user always has stock of the everyday essentials. Set notifications for when the user is passing their favorite store. Fully automated replenishment service, products can automatically be added to online shopping basket, allowing user to buy what they need, when they need it. A recipe suggestion option allows the app to suggest recipes based on fridge’s remaining contents. A temperature sensor notifies you if there is an adjustment in temperature, which could cause food to spoil, or indicating that the fridge door has been left open. While smart fridges are something of a icon/cliche in the connected home development rush of the the last few years, the best thing about TheFridgeCam is the price. 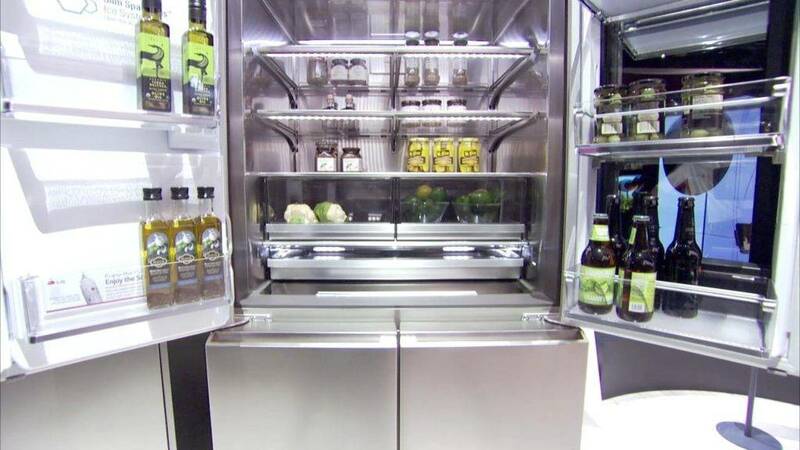 It retails at just $145, making it considerably cheaper to make your own fridge smart instead of the expense of replacing of the far pricier intelligent refrigerator options. Now, let’s look at some of the pricier options. Through the Samsung Smart Home app, family members can share photos and memos in real time from wherever they are. Users can also synchronize their smartphone calendars and share each other’s schedules with their family through the Sticki app. Samsung has partnered with various online grocery shopping services from all regions such as Eataly, and Supermercato24 in Europe. It’s price starts and $5000USD depending on where and how you buy. 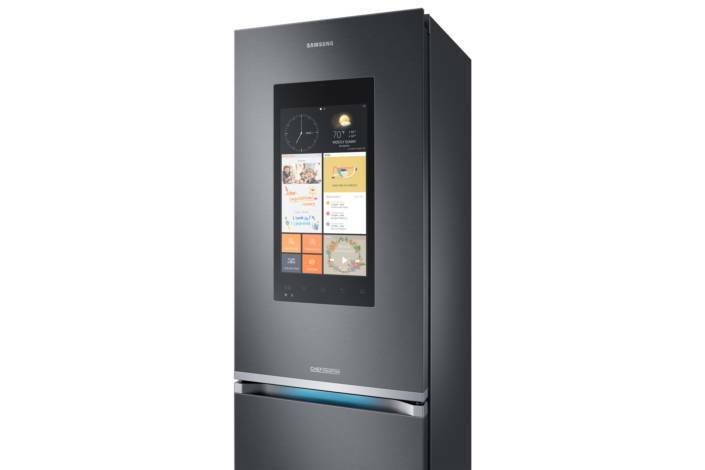 Samsung is not the only company to offer a computer screen on your fridge. LG has now released a fridge complete with a 29″ Windows 10 Surface computer on one of the doors and interestingly, made the screen transparent so users can see inside the fridge with two quick knocks on the glass. This means in effect that you’ll be able to see the products filling the shelves on the inside of the right-hand of its two doors. To be specific, you’ll see the front labels of the products if they’re put in backwards, that is with their labels facing inwards, but then when you open the door they’ll be facing away from you. Not so appealing. I can’t be the only person thinking it might be far preferably to securely mount an iPad to the fridge door — or another flat surface — and spend the savings on a holiday? But back to Smarter, they’re not a one-trick pony with previous home appliances under the belt achieving a number of awards including the Great British Entrepreneur, London Design award and Best Innovative Company. This product shows that the little guys can disrupt big businesses, even in industries like electronics by focusing what people really need from connected products as opposed to what’s for show.